Trout Lake Nature Sanctuary was initially donated to The Nature Conservancy by the Martin family in 2010 and then transferred to MNA for long-term care as part of the MNA sanctuary system. The sanctuary was donated to serve as a memorial for Max Martin who was a Sportsman, Teacher, and Naturalist. This 80 acre sanctuary is nestled within the Lake Superior State Forest, a relatively undeveloped forested landscape. The location of the sanctuary within the larger forested and undeveloped landscape minimizes the effects of habitat fragmentation, making the site suitable for area-sensitive species. The majority of the sanctuary is composed of lowland conifer forest with mature stands of mixed white cedar, balsam, fir, hemlock, white pine, and tamarack. Trout Lake is located along the eastern boundary with about half of the lake being within the sanctuary. 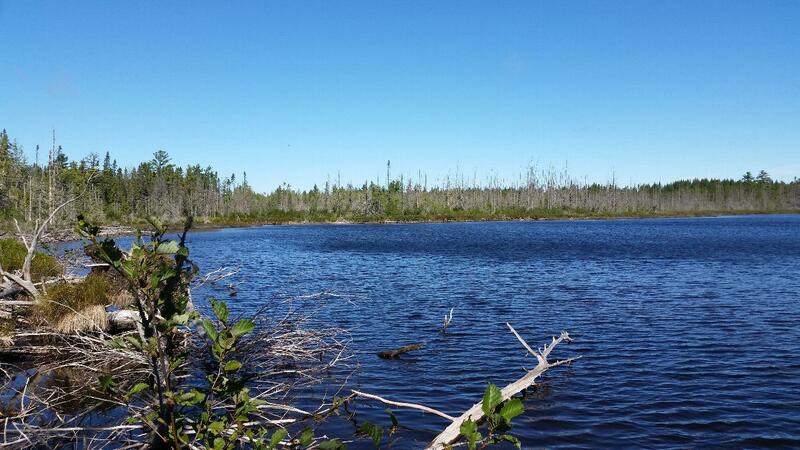 A second small lake and bog habitats are also found within the sanctuary. Trout Lake Nature Sanctuary contains the headwaters for the Trout Creek, which flows from Trout Lake to the north into Muskallonge Lake. Trout Lake contains waterfowl habitat for migrating birds. Mallards, buffleheads, ring-necked ducks, dark-eyed juncos, and sandhill cranes have been spotted at the sanctuary.